So you weren’t able to snag a pair of Michael Bublé concert tickets. Now what are you supposed to give Mom for Mother’s Day? Were you a particularly nasty teenager? If so, choose between several Mother’s Day treatments at the Peninsula, including the “Spa Experience” and “Mother’s Delight” 75-minute, $225 treatments. 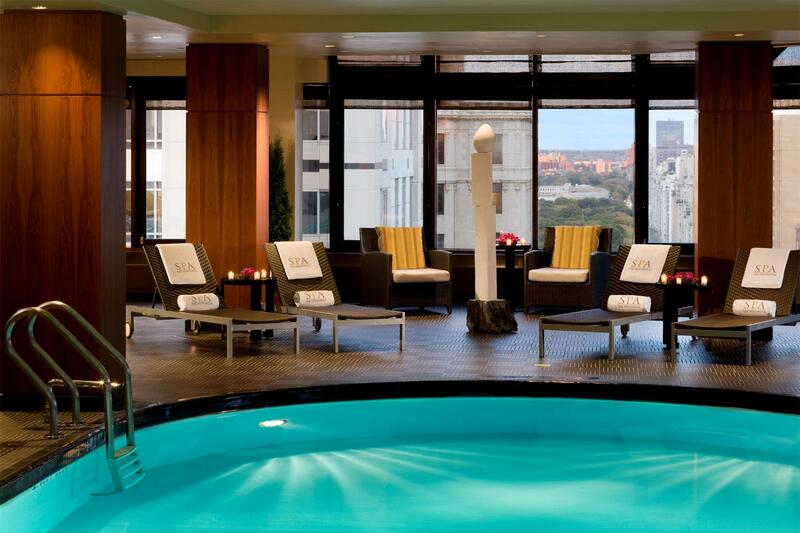 Mom can spend all day at the spa swimming in the pool, lounging on the outdoor patio, and enjoying the complimentary champagne and macaroons available throughout Mother’s Day weekend. ESPA treatments are so unbelievable that Mom might forgive you for years 13-18…if you’re lucky. 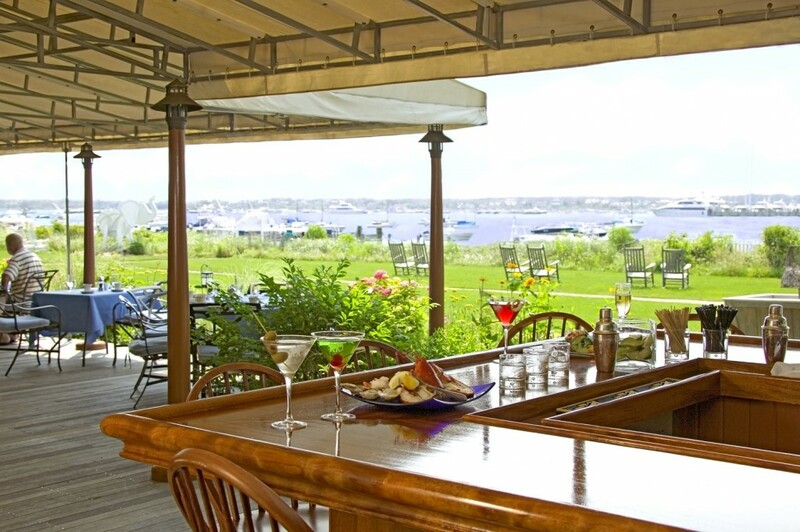 This is not just your average brunch – it’s the Brant Point Grill’s Annual Mother’s Day Bloody Mary Brunch, where Mom can request exactly how much Tabasco, Worcestershire, and horseradish she wants in her morning Mary. Treat Mom to an overnight stay at the White Elephant and Mom might forget about Michael Bublé altogether. Brunch is $45/person, and rooms start at $195. If Mom isn’t a stockbroker, she may never have been down to Wall Street. 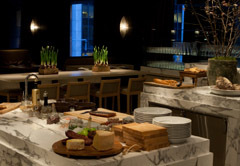 Introduce her to the Lower Manhattan neighborhood and the new Andaz Wall Street hotel, where brunch is being served now at Wall & Water restaurant. Enjoy creative fare like fried eggs and foie gras or classics like Belgian Waffles. Finally, all mothers who brunch at Wall & Water on Mother’s Day receive a card for 20% off at The SPA, valid through December. The SPA uses Luzern Laboratories facial products known for their anti-aging properties; not that you’re looking old mom, but we just thought you’d like to know! Paradise just got an upgrade with the addition of the revolutionary iPad at Anantara Phuket Resort & Spa along Mai Khao Beach on the north end of the island. Guests can book a massage at the Anantara Spa, schedule a dive excursion to the Similan Islands, or simply read the latest headlines in their local paper from virtually anywhere, with just the touch of the screen. Don’t bother packing your BlackBerry or iPhone, simply borrow an iPad directly from the resort and keep up with what’s happening around the world while chillaxing on a daybed poolside or sailing through Phang Nga bay. Not going to Phuket? No worries! iPads will be introduced at all Anantara hotels and resorts worldwide within the coming months. Johnny Jet shows us how it’s done. Watch the master traveler perfect this craft across the legendary dunes of the Liwa Desert, Abu Dhabi, UAE. Humans benefit from all kinds of perks with hotel loyalty programs, and it’s about time our furry friends receive the same treatment! The Nantucket waterfront Cottages & Lofts at The Boat Basin is now offering rewards to returning pets staying at the 11 pet-friendly WOOF Cottages with the new “VIPets” program. Repeat dog and cat customers will receive a customized welcome card, just like their human counterparts, as well as a take-home toy and a photograph of themselves in front of their cottage. For pets that really enjoy the limelight, the picture can be posted on The Cottages Facebook page. And finally, all “VIPets” will be entered in a sweepstakes to win a three-night stay at the WOOF Cottages this fall, plus a special pet spa treatment. Pets in the past have appreciated all the comforts offered at the WOOF Cottages, as “almost 50% of pets are repeat customers,” says general manager Jim Storey. All pets (even first-timers) are treated extra-special; amenities include a welcome basket of pet treats and play toys, food and water bowls, personalized pet tags, Draper Canine Therapy dog beds – even Doggie sunscreen (15 SPF). The Cottages at the Boat Basin are located in the heart of Nantucket Town, with waterfront or water view locations on the docks of Swain’s Wharf and Old South Wharf. The newly-refurbished WOOF Cottages feature dedicated one- and two-bedroom accommodation with stunning views of the sea. Dreading the thought of spending three tedious hours on the Long Island Expressway in the summer months? 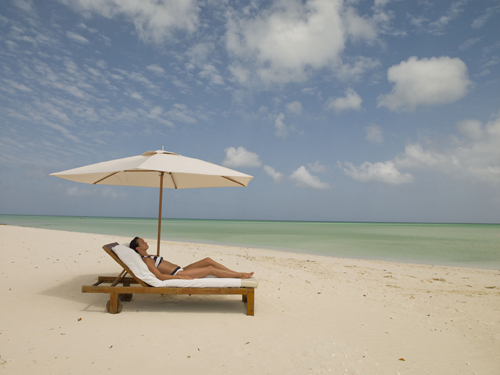 Swap the traffic for an easy flight down to Parrot Cay in Turks & Caicos. As if the lure of this tropical paradise weren’t enough, stay any three nights from June 1st-July 31st and get the fourth night gratis! Breakfast is included, as well as non-motorized water sports, use of the gym, tennis courts, and yoga classes. 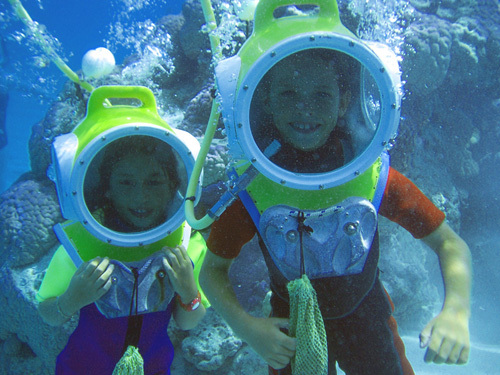 Kids eat free and have a range of activities that includes crafting shark-tooth necklaces and kite competitions to keep them busy while you indulge yourself using your two $50 treatment vouchers to the COMO Shambhala Retreat spa. Rooms start from $696/night per room. Blackout dates apply. Lost in the British countryside? Not to fear, the National Trust’s free app is here! Download the app to your iPhone or iPod touch and search for the nearest Trust sites and properties, 10, 20, 30, and 40 miles away. Or view a full list of properties from A to Z. Join Royal Oak before you go for just $55. Tap into the latest, hippest travel trend! The new app has already leaped into the top five free travel apps category. Download it from the iTunes app store here. Check out the video below of Niloufar Motamed, Features Editor at Travel + Leisure magazine, recommending the Jared Coffin House and Inn on the Alameda as great places to bring Mom for Mother’s Day! Al Roker nods his approval to the Nantucket deal: accommodations, bike rentals for two for one day, and one breakfast for two at Brant Point Grill, all for $150 per night! And in Sante Fe you can spoil your mom with a cooking class and daily breakfast and wine and cheese reception, with the third night half off! Always at the front lines of luxury, Crystal Cruises is introducing the first-ever high fashion runway show at sea. Los Angeles fashion designer Lauren Elaine will showcase her Spring/Summer 2010 Black Label Collection on two Crystal sailings this June and September: the June 6-18 voyage “Culture and Couture,” and September 29-October 8 “Fashion Capitals.” Guests won’t only see the show, but experience the places that inspired it — something most Fashion Week participants can’t claim! Inspired by the ‘sirens’ of both Ancient Greek mythology and those of the silverscreen, Elaine’s collection reflects this in every piece. 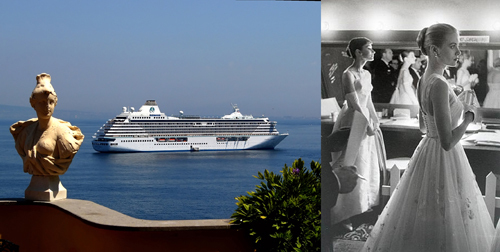 While cruising the Mediterranean and visiting old Hollywood haunts such as Monaco and Rome, guests will be thrown right into the designer’s vision and will also have a chance to meet her and other industry experts on board. A 25 look show will take place towards the end of the voyage. For more information, visit www.crystalcruises.com. For Mother’s Day this year, treat all the mothers in your life to spa products and treatments from ESPA that allow her to maintain her beauty and youth. For those ladies who are expecting a baby or not so patiently waiting for their pre-baby body to reappear. PRODUCT: ESPA Nourishing Bath and Body Oils contain Vitamin E to reduce stretch marks while still safe to use right on the baby bump during pregnancy. TREATMENT: Pre- or Post-Natal Treatments are designed to improve the tonicity of skin under stress during pregnancy. Help Mom care for the wrinkles that YOU caused! 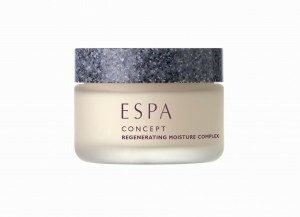 PRODUCT: ESPA CONCEPT Regenerating Moisture Complex is rich in Vitamin C, Green Tea Extract, and Vitamin E, ingredients that moisturize stressed, mature skin. TREATMENT: ESPA De-Stresser Body Massage rubs away tension caused by sky-high cell phone bills and teenage drivers. For the mom who applies mascara while driving and carries band aids in her briefcase. 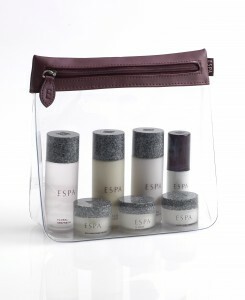 PRODUCT: ESPA Traveler products are light, plastic, TSA-approved, and, as a bonus for the cost-conscious kid, are less-expensive than standard-sized ESPA products. TREATMENT: The Ayurvedic-influenced Ama Releasing Abyhanga Treatment is made for those with high levels of stress and poor sleep patterns. AKA those with children! Nana has upgraded from a Chevy to a Cadillac – now upgrade her skincare from drugstore to ESPA. PRODUCT: ESPA Super Active Firming Eye Contour is a concentrate that visibly reduces wrinkles around the eyes without synthetic ingredients. TREATMENT: ESPA Regenerating Facial with Firming Eye Treatment focuses on the distressed skin around the eye area while intensely moisturizing skin that may see too much of that hot Florida sun. Instead of just working on a golden tan this summer, teens aboard Crystal Cruises can learn to make sushi from a Nobu-trained chef, craft a perfect golf swing with a PGA pro, or learn the native tongue of the next port of call with a Berlitz instructor.